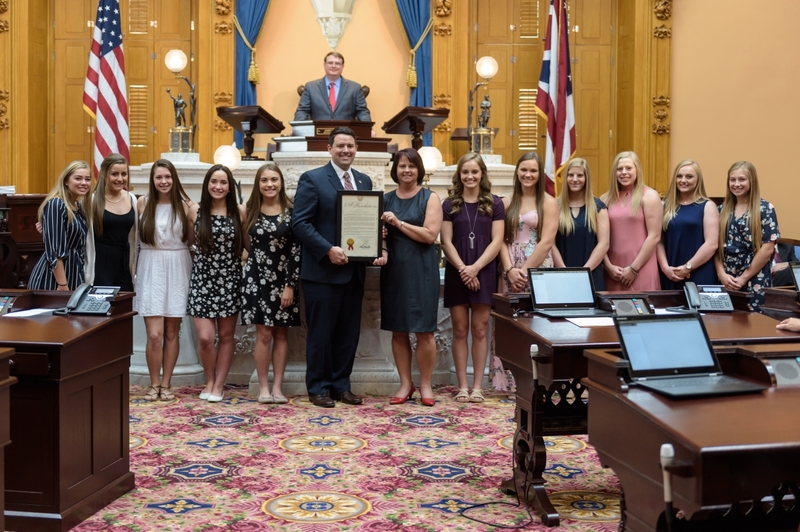 COLUMBUS—State Senator Rob McColley (R-Napoleon) recently presented a Senate Resolution honoring the Holgate High School cheerleading team on winning the 2018 Division VI Ohio Association of Secondary School Administrators (OASSA) State Championship in the non-building category. Accepting the award was school member and parent, Liza Gerken-Schuller, along with the Lady Tiger competition team members. The OASSA State Championship is a state competition that hosts High School cheerleading teams from all across the state, where teams are judged on their routine. This is Holgate’s first state title, although they have made their mark previously at an international competition in Florida.